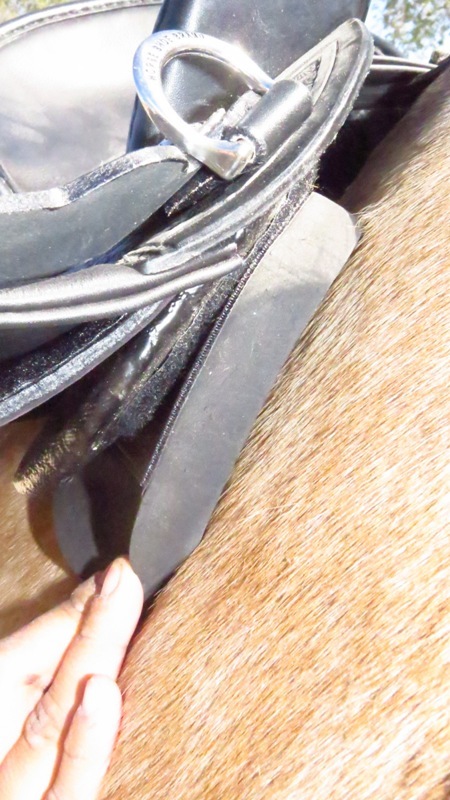 These exact 8 pictures give us the information to advise you how to improve your saddle fit. You will need an assistant to help take these photos correctly. 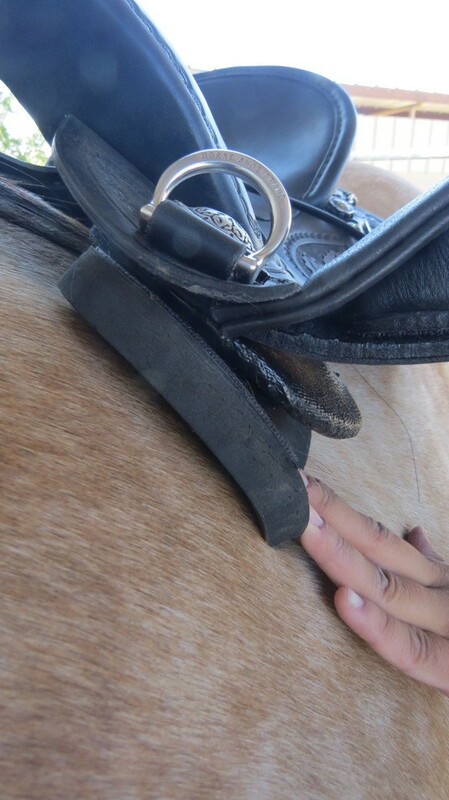 Make sure your horse stands square so that front feet are side by side for even placement of shoulders. When sending pictures please number the photos as indicated in instructions. 1. 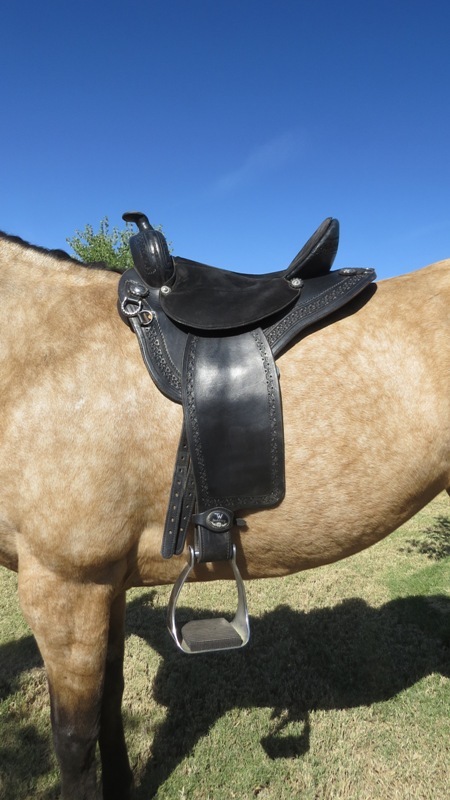 Set saddle on horse as shown. 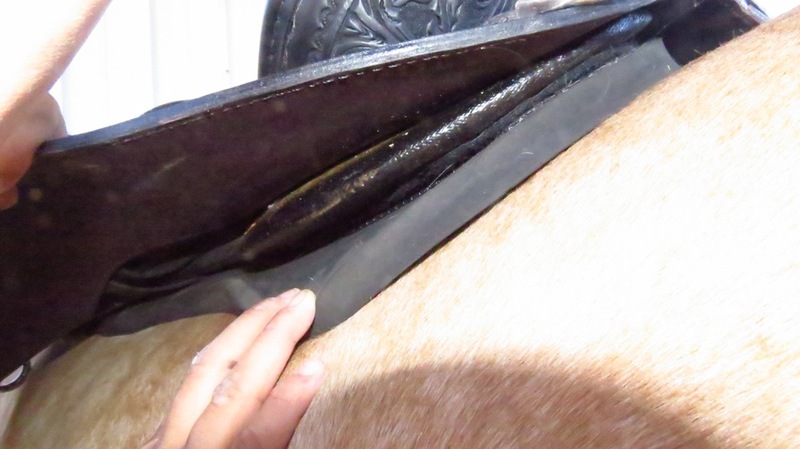 Front of bar (not leather of skirting) is in a vertical line with crease of elbow. Take a photo of the left side AND the right side, approximately 10 to 12 inches away. We need to see the gap at front edge of fitting cushions as shown. 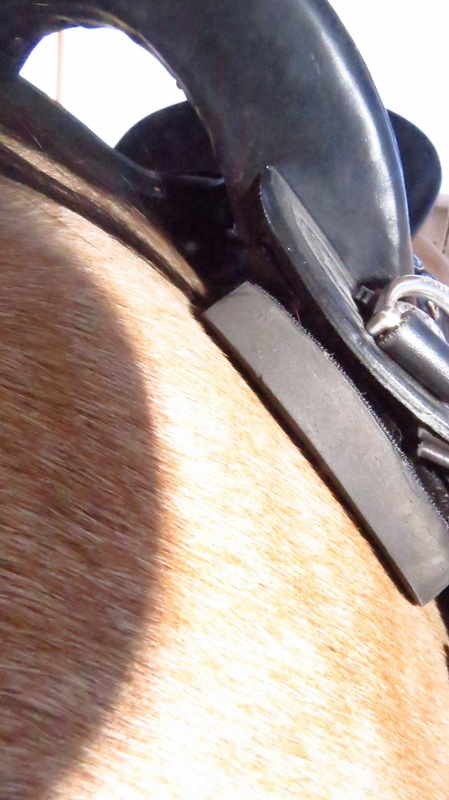 For the front edge you can use direct sunlight, or flash in shade if possible. Be conscious of the effect of shadows so as not to obscure subject area. These are photos two and three. 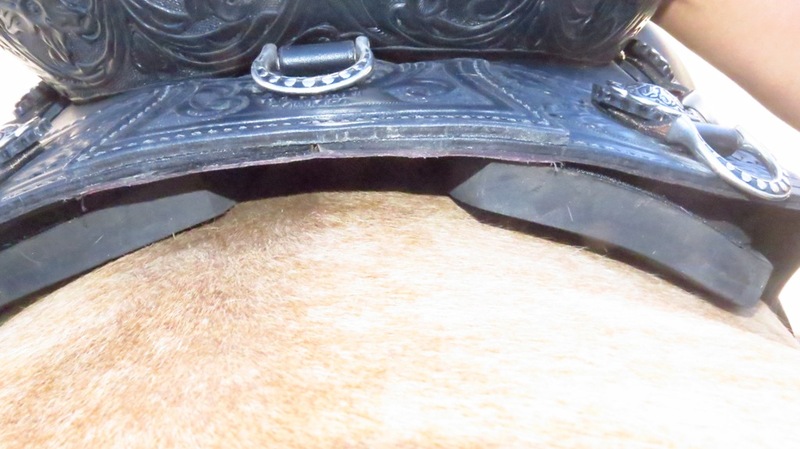 Have an assistant push the lower edge of the fitting cushion to the horse for the photo to show the gap on the left and right side. These are photos four and five. Remove any rear wedge shims you have installed on one side only Take a photo of each side, one with and one without rear wedge shim. These are photos six and seven. Take a photo of the top rear skirt showing both sides evenly. Have assistant put some pressure on seat while taking picture. Get camera lower than bar edge when taking rear bar pic showing the gap under the bar edge. Take several photos so you can select best ones to match sample pics shown here. Use flash to minimize shadows and illuminate under bars. 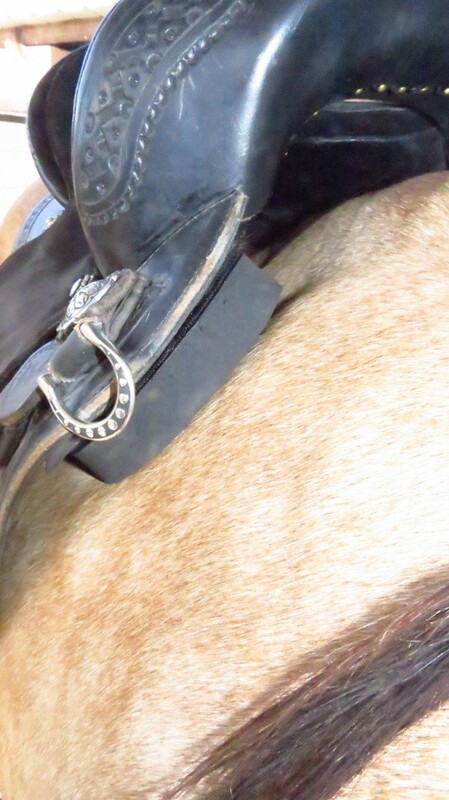 Side view showing proper position on horse.